Another oldie but a goodie! 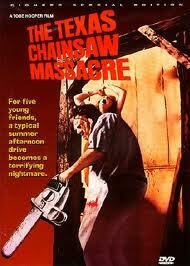 Going back to 1974 The Texas Chainsaw Massacre is one of those horror movies that really stick with you. The movie is loosely based on a true story. Leather face has to be one of the most terrifying horror characters of all time. Blurb: Five friends visiting their grandpa's old house are hunted down and terrorized by a chainsaw wielding killer and his family of grave-robbing cannibals. 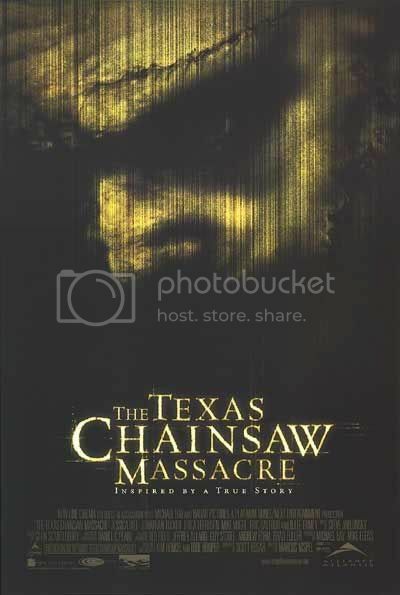 I am skeptical when it comes to remakes considering there are so many remakes of this movie that turned out to be train wrecks BUT I really liked the The Texas Chainsaw Massacre(2003). Director Marcus Nispel and the writers did a fantastic job at amping the movie up. The kept the original story but turned the notch up. I would recommend both of these if your in the mood for a scare. You're braver than I am. I can never see those flicks. Too scary for me.